- The Who's epic rock song about Woodstock opens with a soaring introduction and ends with an unforgettable coda. Despite coming out in the early 70's, this feels like it represents and supersedes all the Van Halen "Jump" type songs of the 80's that seem to try and recreate the magic of this song. - This is easily my favorite song in the "Disco" genre. As with many songs you'll encounter on this list it does what many of my favorite songs do: conveys a single emotion (nostalgia for a romantic moment) by wrapping it in simple lyrics ("Do you remember dancin' in September?") and surrounds it with a memorable groove. How can you not dance to this one? - I first encountered this song while living in a dorm with an FSU track and field athlete who loved it. He loved it so much he often shared it with his fellow dorm mates...loudly... and early in the morning. Despite the circumstances, I grew to love Norah's beautiful voice singing about waking up in the morning next to her love over a simple but effective bass line, acoustic strum, and piano. - To many, this might feel like a throwaway pop/dance song and to them it might be. I probably listened to this song a million times while studying for my master's degree and it slowly became my favorite EDM (Electronic Dance Music) song, topping Harris's "We Found Love". I love the driving beat of the song, Welch's bittersweet and powerful performance, and of course, the cliche but effective build to a bass drop. 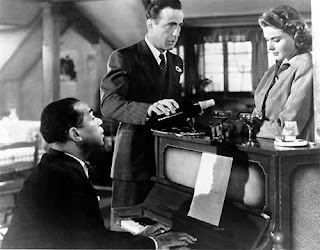 - I took to Casablanca as a young teen and this loungy/big band love song plays a central role in conveying the nostalgia and heartbreak of love at the center of that film. - The first Christian song to make the top 100 is a convicting jeremiad on pride in Christians. Partially sung from the perspective of God, Upton implores Christians to become dying stars so as never to distract from the true star, "Shining star I hope you see, if the whole wide world is staring straight at you, they can't see me." - Even though it came out in the late 70's, this has always felt like the embodiment of a great 80's pop song to me. My affection for the song only grew when it was perfectly used in the film Take This Waltz. By the way, for those following along, you are bound to notice the role that movies have played in introducing and endearing me to many songs. Anyways, Take This Waltz uses the song in the sequence to perfectly illustrate the momentary joy and allure of giving yourself over to your wants and desires. For some context, the Michelle Williams is married and considering cheating with the guy she's with on the ride. - First introduced to this song by a mugging Bill Murray performance, I grew to enjoy the dissonance between the aggressive rock sound and the hippie "love is all you need" lyrics. 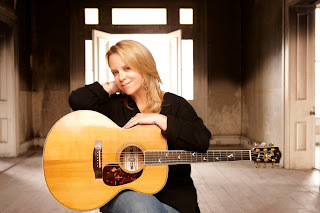 Its a fun song, but I like how it adds a genuine rock experience to a song you might expect to be accompanied by the light strum of a guitar and an angelic Annie Murray voice. - Written more about their possible band break-up than the Vietnam War (despite it's popular use in those films), the song has become a dirge for me about being aware of coming tragedy. I love the melancholy of the song, the quality of Fogerty's voice in selling that emotion, and the simple accompaniment behind it. - This is the best of the 90's country sound mixed with the best societal/political awareness of the 60's protest songs. Carpenter's song ponders over our (middle class/well off) role in the world with the haunting image of the "stones in the road" that fly out beneath our tires as we head home. - I've had a running battle in my mind between this song and "Ain't Too Proud Too Beg" over which one was the better. Since this is a limited list, I really don't feel I can include both. Over the last year or so my affections have switched, and now this is the classic uplifting motown song from a group of four guys to make my list. - I've grown up with air travel as a given; it's not mysterious or grand, it's generally tedious. In 1958, traveling the world by airplane still had the air of adventure, luxury, and romance. 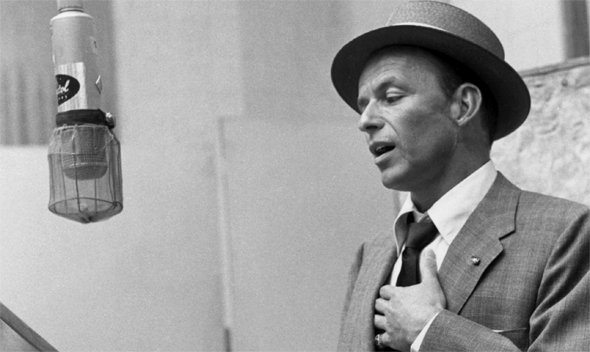 No song captures that moment in time better than Sinatra's swinging "Come Fly With Me." - Every genre of popular music has glamorized & celebrated the "good life" of partying and drinking. However, there's a sub-genre of songs out there that seek to indict and criticize the emptiness that comes with this life, and none are better at this than Sia's "Chandelier." - "The Twist" and "Mashed Potatoes" might have been more popular dance crazes, but I prefer this motown hit that references, and supersedes in fun, both of them. I think the first time I heard the song was through a Tiny Toons music video that watching it back now, feels a bit too heavy on the stalker "no means yes" vibe than I'm comfortable with. - This rock song from Queen is deceptive in that it's fun and uplifting choir elements mask a desperate cry for love, "And I start to pray, Till the tears run down from my eyes, Lord somebody (somebody), ooh somebody, (Please) can anybody find me somebody to love?" - This song is the perfect embodiment of a 50's high school prom and to think, without it Marty would never have existed. 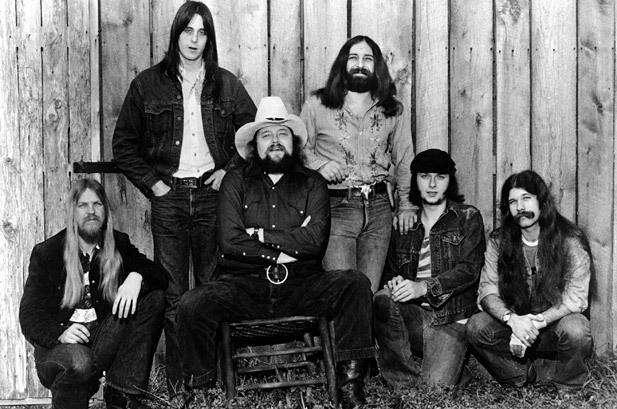 - Unfortunately, my top 100 doesn't include any fun Johnny Cash story-telling songs like "Boy Named Sue" or "One Piece at a Time", but I think this gem by The Charlie Daniels Band does a good job representing the pinnacle of that genre. It's a fun story about a country boy dueling the devil on the fiddle and getting one over on the devil. - No matter how much I'd like this song not to make the list, I can't help but put it here. Despite possible ridicule, I've got to stand by my guns and say this is really one of the best "self-improvement message" country songs. In the 90's, Garth Brooks made a living off of these type songs, whether it was the encouragement to enjoy love despite failure in "The Dance", being careful what you wish for in "Unanswered Prayers", or following your dreams in "The River", Brooks often played the guru in boots and a ten-gallon hat. I think the message was never been better than "Standing Outside the Fire". Its encouragement to put yourself on the line despite the hurt is similar to the iconic opening of No Country for Old Men, but in place of a Tommy Lee Jones monologue, we get acoustic strumming, backed by memorable moments for the piano, drums, and electric guitar. Sure, its video is a bit sappy, but my goodness is it earnest and affecting. - I can hear the Beatles fans now, "Huh? This throw away ballad from Revolver? The only thing I can say in return is that there is just something about this song that I cannot shake nor can I really explain. I find myself constantly returning to it whenever I put the Beatles on. This is just "that" kind of song for me; the melancholy heartbreak, the inspired use of the clavichord, the beautiful french horn solo, and one of Paul's most pure performances. I just flat out love this song. "For No One" is just as good a melancholy ballad as "I Want to Hold Your Hand" is a pop song. - I really like "I Will Wait" and their entire album Wilder Mind, but this acoustic guitar, drum, and banjo driven song from their first album is my favorite. I love the intelligence & insight of the lyrics that waxes philosophically about emerging from a damaged relationship. It's like an up-scaled, banjo driven, version of this classic Wayne's World scene. - I love the Roberta Flack original, but my preference is for the Fugees remake. Like the song says, the power of song (or art in general) has the ability to connect with us deeply with other people. In a bit of meta-irony, the song's description of a woman connecting with a singer's song captures the experience many have listening to this song. - Third Day's translation of Psalm 24 into musical form connects with me deeply and always has a way of quieting my heart and reminding me of who the king of my heart should be: the King of Glory, Jesus. - Sorry 'Nsync fans, only one "I Want You Back" has aged for the better. This Jackson 5 song is one of the most fun, catchy, and memorable songs to come out of the 60's (and that's saying a lot). From the opening piano, the song puts a smile on my face. - It was as a teenager that I began getting into top song lists, using billboard and rolling stone lists to inform myself on music to explore. On nearly every list I saw Marvin Gaye's "What's Going On", but every time I listened to it, I never cared for it. 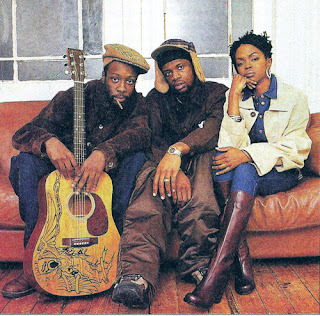 Thus, it was with great surprise about a year ago that I stumbled on this song again and for the first time really connected with its simple cry for understanding and dialogue buttressed by a smooth groove and a basic but beautiful vocal performance from Gaye. Perhaps the song's prestigious placement on so many lists set me up with expectations for some kind of revolutionary song and it's only with repeated listening I able to enjoy its simplicity without the weight of expectation? Whatever the reason, I'm glad I came back to this one. - The second Sinatra song to make the top 100 (1 more to go!) is a Christmas classic. Although it's not my top Sinatra song, I think this is his best vocal performance. There's not much range to the performance, but it dominates the track and does more than suggest someone having a merry little Christmas, it actually comes off so confident that it seems to encourage and assure you really will have a merry little Christmas. This isn't a song about loving the 'mis en place' of Christmas - it's about being with family, loving each other, and enjoying the holiday together. I like that.